Why can I no longer see my files or map a drive to D-Link NAS in Windows 10? The latest update from Windows 10 disabled SMB v1.0. The D-Link DNS line of NAS devices uses SMB v1.0 and does not support SMB 2.x. You must enable SMB 1.0 in Windows 10 to map a drive and view drive content. Step 1: Go to Control Panel > Programs and Features > Turn Windows features on or off. 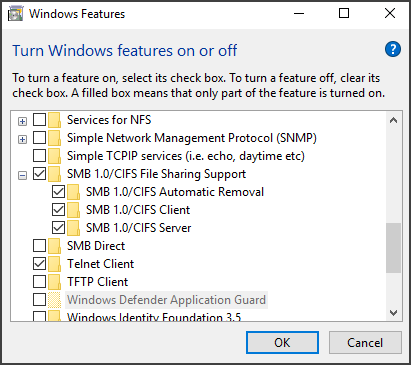 Step 2: Scroll down to SMB 1.0/CIFS File Sharing Support and check the box. How to fix slow webpage load speeds on DIR-890L when used with some mobile devices? 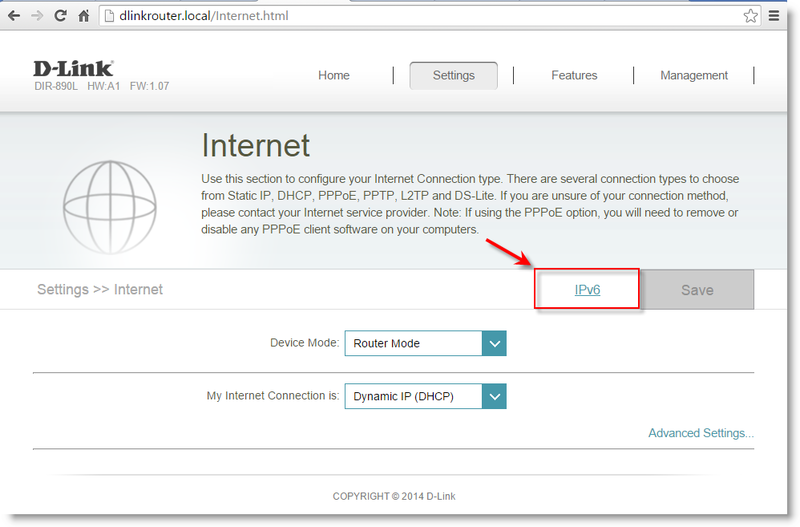 Step 1: Open your Internet browser and type the IP address of the router or friendly DNS name (FDNS) in the address bar. 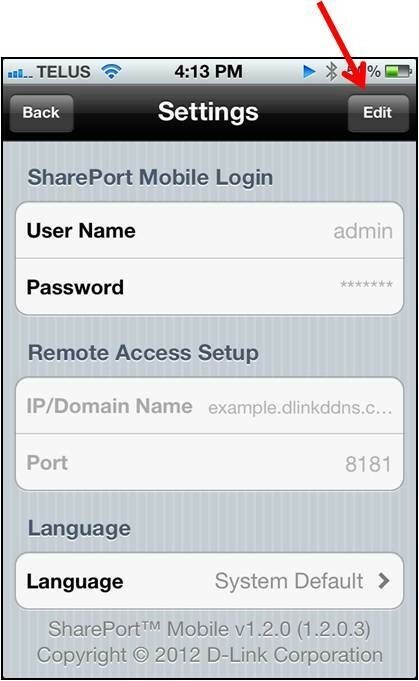 The default IP address is http://192.168.0.1 and the default FDNS name is “http://dlinkrouter.local”. At the login, enter your password (default password is blank). 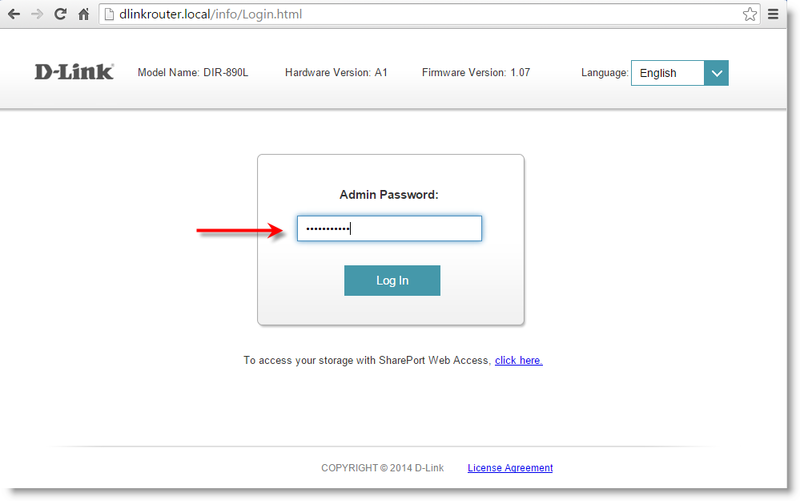 Use the password set at the initial installation to login to a previously configured D-Link router. 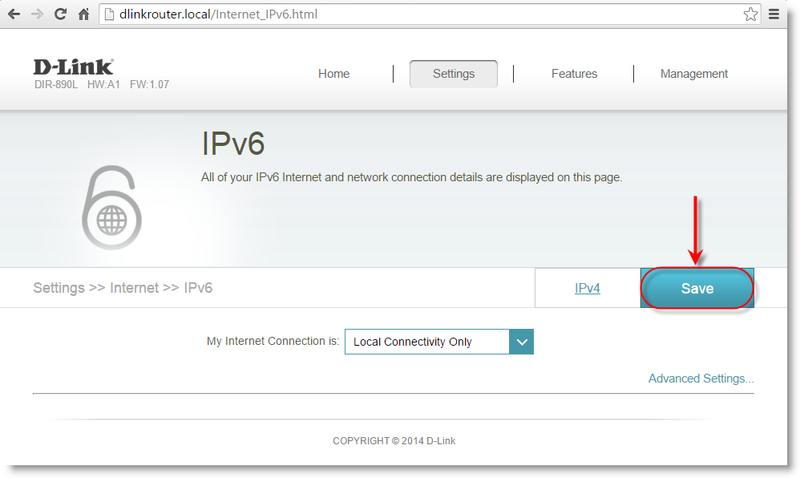 Step 3: Select IPv6 tab. 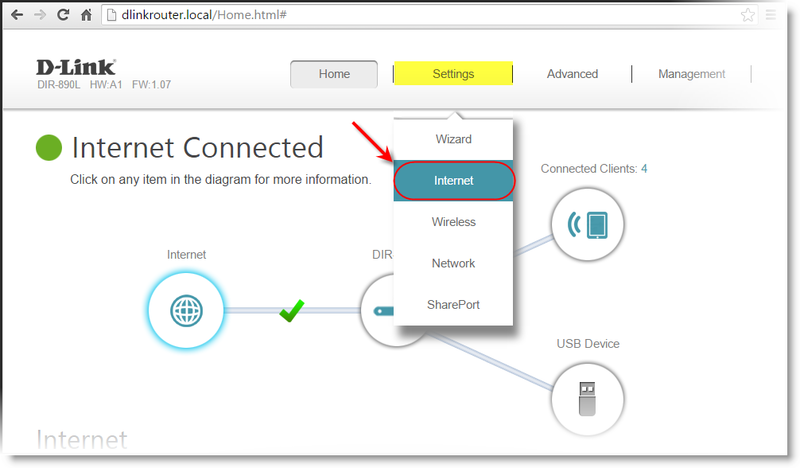 Step 4: Select My internet connection: pull-down menu for Local connectivity only. Step 5: Click on Save. This will save your settings. 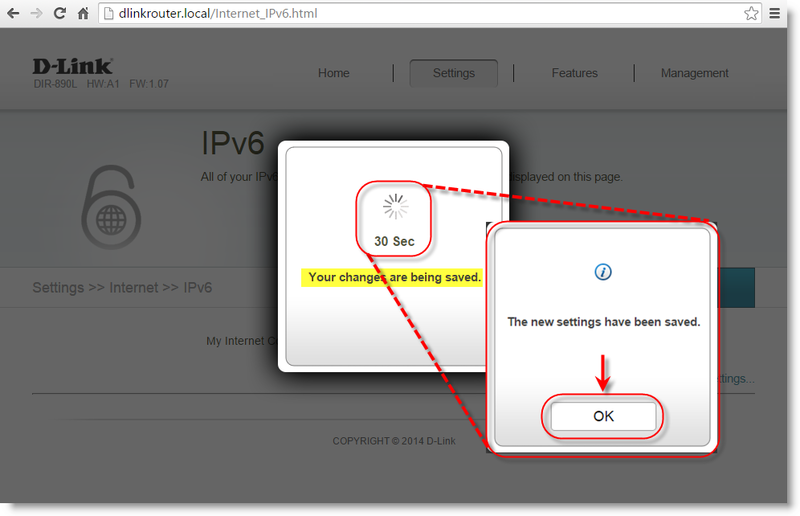 Your router will reconfigure it’s internet settings to have IPv6 removed from the WAN port. There will be a momentary disconnect from the internet as your router completes the changes. Verification: When your router has completed the changes, test your mobile device’s load speed of web pages and check for an improvement. 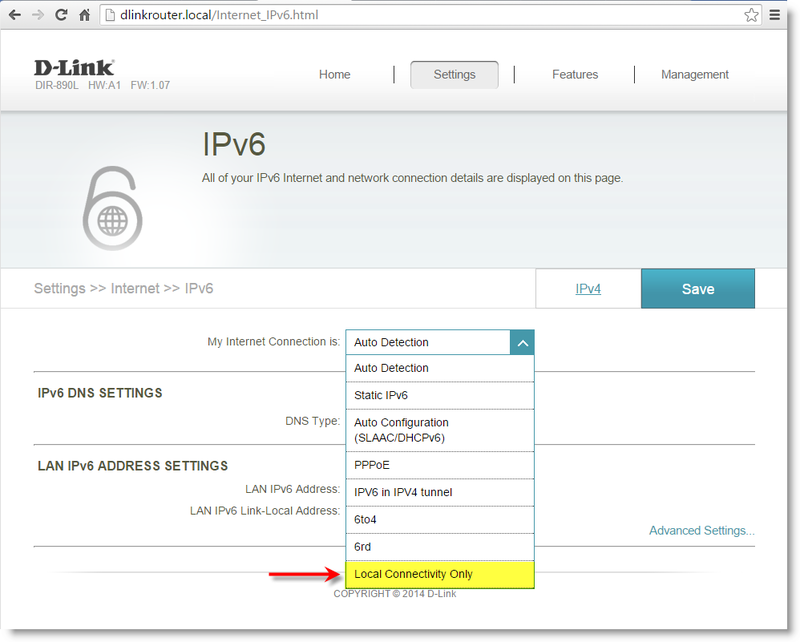 How to configure the WAN settings on D-Link DI‑634M Super G with MIMO Wireless Router? Step 1 Open a web browser and type the IP addressof the DI-634M in the address bar (default is192.168.0.1). Step 3 Click on the Home tab atthe top and then click on WAN on the leftside. Step 4 Select Dynamic IPAddress. Step 5 If your ISP requires a host name enter itnext to Host Name. If you want to use another MAC addressother than the MAC address of the WAN port enter it next to MACAddress and select Use MAC. Step 4 Select Static IPAddress. Step 5 Enter the IP address, subnet mask, ISPgateway address, and primary DNS and secondary (optional) DNSserver addresses. MTU – Enter the MTU. This is usually1492. Always on – A connection to the Internet isalways maintained. Manual – You have to open up the Web-basedmanagement interface and click the Connect button manually any timethat you wish to connect to the Internet. Connect on demand – A connection to theInternet is made as needed; and the connection is dropped after”Maximum Idle Time” minutes of no activity. MTU – Enter the MTU. This is usually1452. Step 5 Click on Apply to saveyour settings. Step 1 Open a web browser and type the IPaddress of the DI-634M in the address bar (default is192.168.0.1). The status light on the D-Link router is flashing what is it indicating? 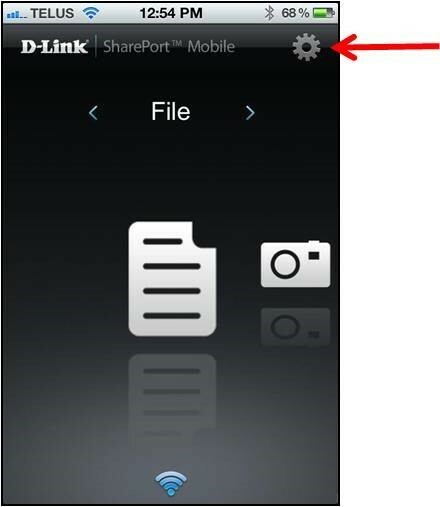 The flashing Status light on the front of your D-Link router indicates that it is operational. Itdoes not show whether the router has been configured or not, so itmay still be necessary to set up Internet or wirelessconnectivity. 1) Power off the device and leave it off forabout 20 seconds. Power it on again and check the Status light. 2) Run through the factory reset procedure for your router. If the above steps still result with the Status light on permanently or stays off, please contact our support team.